Opening hours: Generally, stores & shopping malls are open 7 days a week, late night shopping on a Thursday night until 9pm. Sunday between 4 - 5pm. Closed only on Christmas Day. 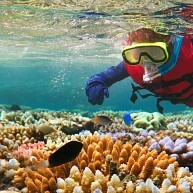 Airlie Beach and the surrounding area is full of things to do, from wildlife safaris to snorkelling. There are many places to go diving, fishing, kayaking and sailing, and there are plenty of companies able to help you hire equipment and vessels. Saturday morning markets and Sunday twilight markets are a tradition in the area and provide great entertainment with buskers and live music. In this Queensland rural town, the museum is worth visiting, as is Proserpine Lake, or Peter Faust Dam, as it is better known. 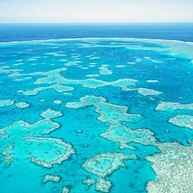 Ideal for water sports and fishing for the popular barramundi, you may also fancy a local eco tour. 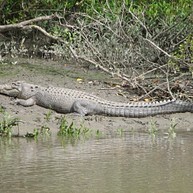 Take one of the Whitsunday Crocodile Safaris up the Proserpine River. 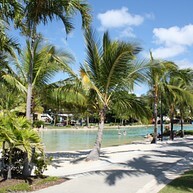 Opened in 2001, Airlie Beach Lagoon is a stinger free environment. It has landscaped gardens, free barbecues and shower rooms. It is located in a beautiful setting and close to all facilities. The lagoon is free of charge. This attraction is a 30 km track through the Conway State Forest. 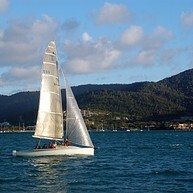 The main routes are from Brandy Creek to Airlie Beach, however, there are also short trips from Brandy Creek car park. Wander through this magical countryside and see a range of wildlife including the wompoo fruit-dove. Visiting the town of Bowen is like stepping back into the 1940’s or 50’s, unpretentious, with wide streets. A good place to make for is the Historical Museum packed full of artefacts said to be one of the best museums in Central Queensland well worth visiting. Bowen Courthouse, built in 1883, is also impressive. The beaches lie 2 km north of town. Queens Beach has a stinger net for the jellyfish season and Horseshoe Bay is good for swimming or snorkelling. Stone Island is where the very first settlers landed and a very interesting place to visit. It is located no more than 2 km from the coast and can be reached by ferry. Enjoy the peaceful surroundings on this 6 hectars small island and visit the towns of Seaforth, Ball Bay and Calen. 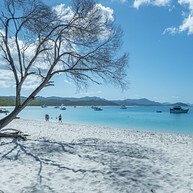 One of the most beautiful beaches in the world, Whitehaven Beach can be reached by boat from Airlie Beach. A totally undeveloped national park, be prepared for a 7 km stretch of 99% white silica sand. It is just breathtaking! Experience tropical beaches and relaxed days in the sun at the 74 islands along the coast. While some of them have holiday resorts you can just check in (e.g. 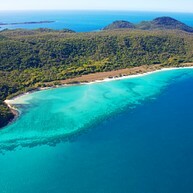 Hamilton Island, Hayman Island), others are rather untouched and provide the ideal opportunity for a getaway. Just choose your match!